Canada has got to be my very favorite place for her diversity of climates and ecologies and bio-diversity. Of course I was born in Canada so I may be a bit biased but when consider for a moment what I’ve seen and experienced in this huge country I still have to pinch myself! The ocean air and blue skies are magical on the West Coast! 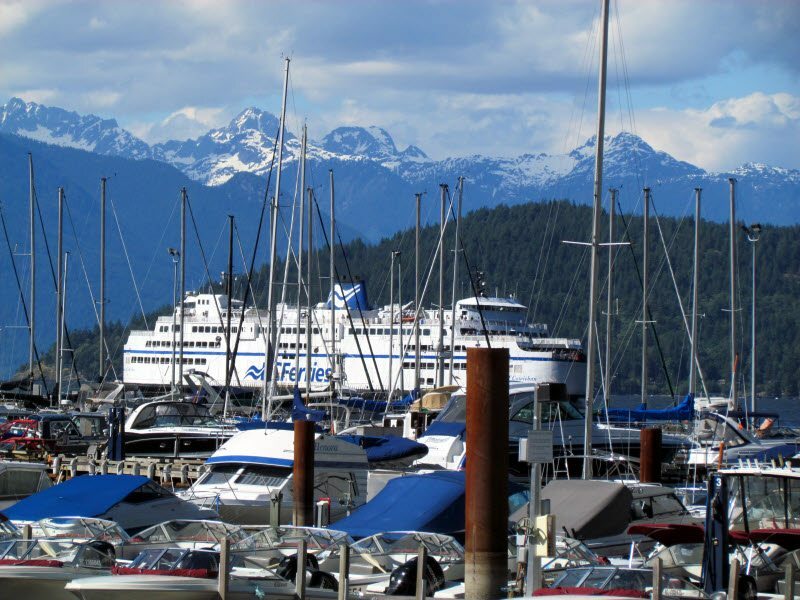 The ferry at Horseshoe Bay took us to The Sunshine Coast where the pace is slow and sultry! I have been blessed to have had the chance to have touched the Pacific Ocean, the Atlantic Ocean and the Arctic Ocean! Of course not all on one vacation but I had the chance to be in the Northwest Territories on Victoria Island which is the 2nd largest island in Canada and is twice as big as Newfoundland but has less than 2,000 inhabitants, most on the Nunavut side of the new Territorial designation. Above the treeline with the midnight sun and seeing the amazing alien landscape of stunted shrubbery and moss and rock cutting into clear pristine waters, it was an amazing place to see and I recommend a trip to the True North of Canada The northern lights over Yellowknife and the odd savage indigenous sentiments I felt on Banks Island during a fog socked three day excursion was amazing; on one hike on the flat tundra which has no trees and is almost like sand dunes it seems so easy to become lost and I came to the skeletal remains of a crashed DC-3 aircraft just sitting abandoned and ripped open like the rib cage of a giant whale on the shore. The wind blowing through the aircraft metals was such an eerie sound in the completely moon like landscape. The Montreal skyline from the condo apartment I stayed in during my Montreal vacation. 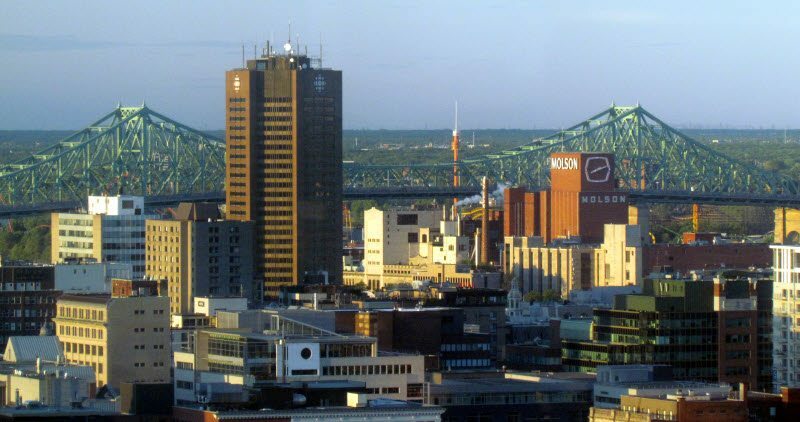 Great views of the St. Lawrence spanning bridges and so close to all the Festivals in downtown Montreal. I also dipped my toes off the Western edge of Vancouver Island after my trip to Victoria. The city of Victoria was so charming and had such a friendly flavor we stayed right downtown close to the parliament buildings and the harbor and museums and of course if you do go believe me the Butchart Gardens are incredibly beautiful. Sechelt and the Sunshine Coast was a little bit of a trek what with the BC Ferries ride over but actually I found it more like a little cruise across Horseshoe Bay made me feel like I was on some cruise liner! In Newfoundland I had the honor of being “Screeched In” and Still have my official Newfie Diploma as an Honorary Newfie! The island was wet and grey when I was there for a birthday celebration weekend but still St. Johns had a lot of great sights to see and of course had to try the famous Ches’s Fish and Chips and it was funny hearing our car’s GPS unit saying “Turn Left on Hill’ O Chips Road” Yes there is actually a Hill O’ Chips Road apparently named not after the French fries but after the piles of wood cutting that the area was known for back in the day when forestry was a bigger part of the economy. 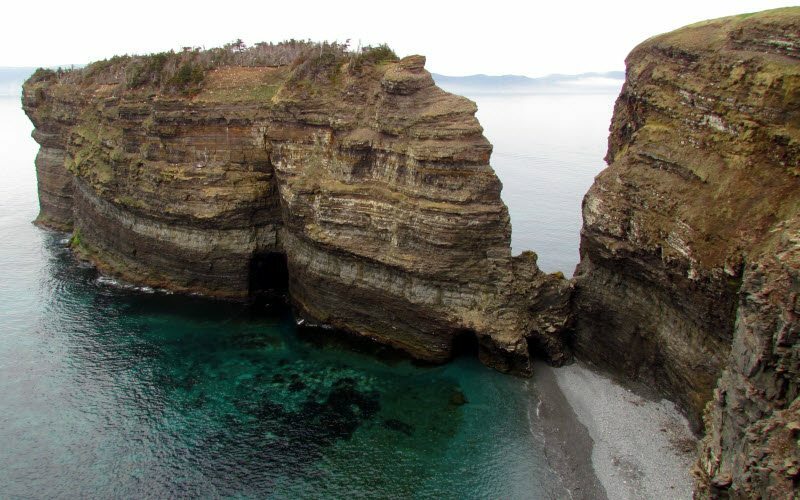 After seeing the beauty of Atlantic Canada with beaches and oceans the tides in the Bay of Fundy as well as Cape Breton Island with the highlands so perfect for hiking and walking through old growth maple forests. The surreal landscape that is Nunavut with the desolate darkness in winter with the amazing Northern-Lights that dance and dazzle. Prairie openness with huge big open skies and flat fields as far as you can see. The Rocky Mountains, the Badlands of Alberta, the Yukon and the festivals of Toronto and Montreal. From snowy mountains in the Rocky Mountains to the white beaches of Prince Edward Island Canada has an amazing tapestry of people and cultures all in a wonderful and resource rich space that offers thousands of spaces for getting off the beaten track where the scope of imagination is much greater than anywhere near the typical big cities that attract the average tourist. Because I am actually born and raised in Canada I have a certain love of the country. Having travelled throughout the North-West Territories, British Columbia, Newfoundland and Nunavut I have come to know and love the country as one of the safest places to visit and live in the World. The natural beauty of this huge country are unmatched with mountains, oceans, prairies, huge forests and some of the friendliest people anywhere. The rich multi-cultural heritage means that the variety of festivals, events and opportunities to enjoy the natural parks and camping and canoes in Canada are why it is one of the largest playgrounds on Earth. Canada has 3 rugged and unique coasts and I was awestruck by each one! The Newfoundland seaboard and cliffs full of nesting birds on the windswept shore was captivating. This is my home and native land and visiting and holidays anywhere in Canada are something I recommend to any of my friends or acquaintances I meet on my trips around the world. Canada is a huge country and the fours seasons provide ample opportunity for vacationers looking for a safe trip during any time of year.